On Friday Digital Einstein went live, bringing with it a treasure trove of Einstein letters, correspondences, postcards, and notes detailing the life of one of the world’s greatest thinkers. As The New York Times reports, these are The Dead Sea Scrolls of physics and you can read them today for free. 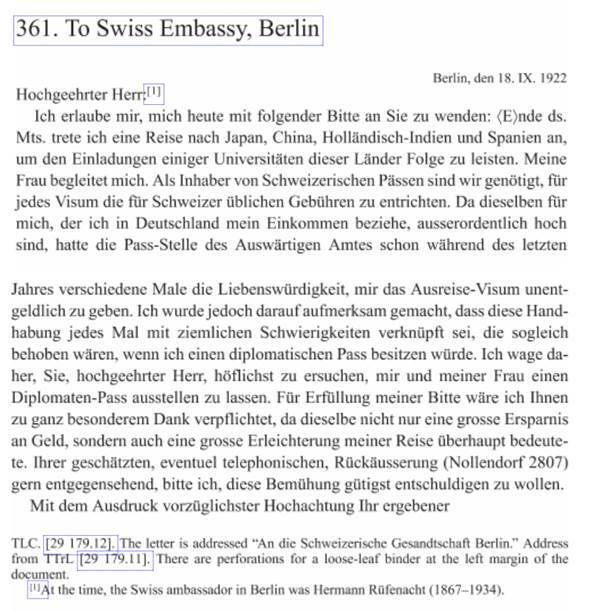 Of course, many of these early letters leading up to 1923 were originally written in Einstein’s native German tongue, but Princeton’s archives allows users to toggle between English-translated versions and the original text. These letters also aren’t just a bunch of super dense chicken scratch that would go over your head unless you were armed with a physics doctorate (though that would help), these missives contain divorce files, personal letters, and one awesome note to Marie Curie denouncing science trolls, as detailed by Vox. 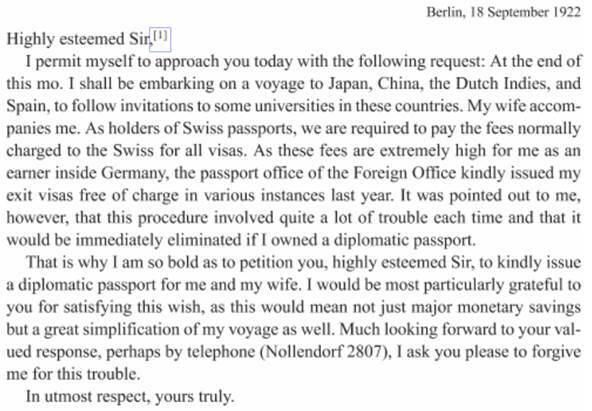 I discovered a interesting letter from Einstein to the Swiss Ambassador in Berlin, Hermann Rüfenacht asking for a Diplomatic passport for him and his wife travelling to Japan, China, Dutch Indies and Spain to save the “high visa fees compared to his salary”. Swiss authorities never granted him a Diplomatic passport but the Germans issued him a Diplomatic passport in 1925 and a Ministerial-Pass in 1930 which are almost similar to Diplomatic passports, visas were issued also free of charge with this type of travel document.